What inspires our work? Why have we each chosen to pursue a vision of cities that incorporates and expands our views of nature? Was it a particular mentor, a class or school experience, time spent in wilderness, or a book or film that led us to think boldly about a green future for cities? Aspirational solutions that are largely unattainable but serve to awe and inspire can also help us progress—just as the golden age of science fiction motivated us to keep striving for something better, even though the political realities of the present made progress seem impossible. I grew up in a part of Queens, a borough of New York City, that at the time was almost entirely devoid of the types of nature-inspired and integrated projects and spaces highlighted here at TNOC. 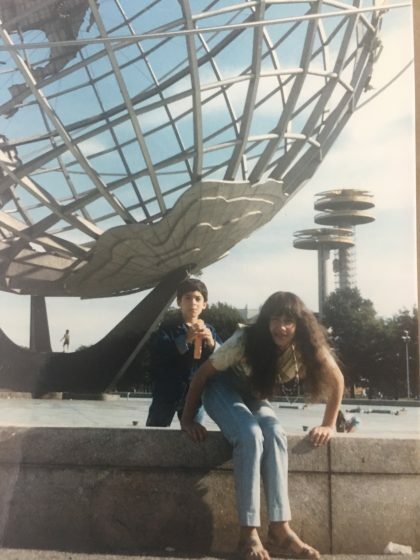 But inspiration can come from many places, and I was recently reminded of the importance of the formative experiences that influence us while chatting with the wonderful New York Hall of Science (NYSCI) Career Ladder staff about my early experiences there. 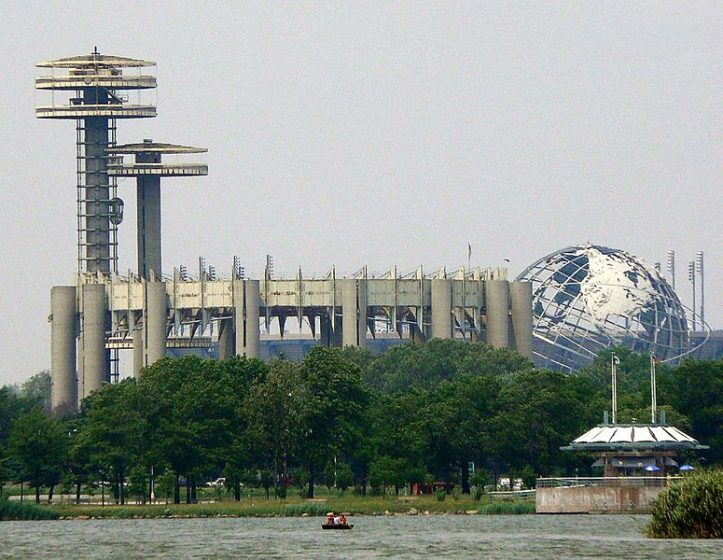 Founded as the part of the 1964’s World’s Fair, NYSCI is now a designated New York City Cultural Institution, and has to date enlisted more than 3000 inner city students to work as museum “Explainers” communicating science to the public. I recall my high school experiences in this program clearly, and think of them often as I work toward inspiring young people to study science, nature, and the nature of cities. These days, at least in my part of the world (the western U.S.), students are increasingly choosing scientific disciplines as their course of study. 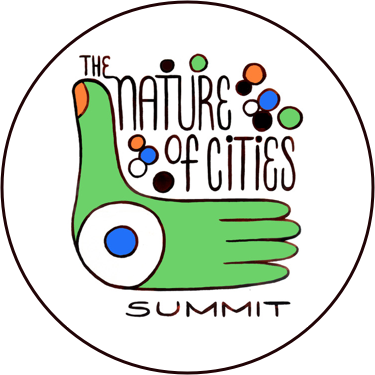 But when it comes to nature and the nature of cities, I feel that it’s actually becoming more difficult to inspire young scientists and ecologists to join the collective effort to build thriving cities and spaces that draw on and harmonize with nature. After speaking with many students and colleagues, I think one important reason has to do with major shifts in our beliefs about the future of cities and the role of science from the mid to late 20th century to today. The fondness that [researchers and engineers] have for science fiction reflects, in part, the usefulness of an over-arching narrative that supplies them and their colleagues with a shared vision…scientists and engineers who came of age during the first half of the 20th century could look forward to building things that would solve age-old problems, transform the landscape, build the economy, and provide jobs for the burgeoning middle class that was the basis for our stable democracy. In retrospect, it’s striking to me how many of these shared visions include cities with significant green spaces (even in outer space!) or innovations that expanded our ideas of the potential for nature in cities. Science fiction illustrators like Harry E. Turner and Frank R. Paul and space artists like Robert T. McCall combined daring, aspirational technology with vast expanses of green, recognizing the role of urban nature in the best possible vision of future cities, while through the 1970’s writers speculated about utopian visions of the human-nature relationship, perhaps culminating with Ernest Callenbach’s iconic Ecotopia. Of course, most of these visions were not to come to pass. Technological advances certainly have their dark side as we now well know, and these were as visible in New York City as anywhere when the “golden age” of science fiction and futurism came to a close. As humankind’s capacity to engineer the built environment grew ever more grand, futuristic new freeways arrived to divide communities, well-loved monuments like the original Penn Station were razed, and “slums” were demolished in the name of urban renewal, altering cities in ways that we’re still trying to recover from today. In many ways, these events were the embodiment of the urban visions that were presented at the 1939 and 1964 World’s Fairs, and showed us the unanticipated consequences of re-engineering cities on a large scale. Humanity’s footprint on the environment also became more and more difficult to ignore. As Jane Jacobs battled Robert Moses in lower Manhattan, Rachel Carson warned of the collapse of food chains, and The Nature Conservancy was founded to protect dwindling open space. In the face of cities that were becoming less livable, more unsustainable, and increasingly isolated from surrounding ecosystems, many people lost hope in the possibility of building amazing new places, and in the potential for science and technology to bring about a future that would be substantially better than the past. It’s ironic that just at the dawn of the space age, the Apollo missions brought us moving images of the Earth from space, such as “the Blue Marble” taken in 1972 on Apollo 17. Our early forays into space didn’t much resemble the fiction that inspired it, but instead showed us a lonely and vulnerable planet in the vastness of the solar system. These images helped to crystalize the urgency of the environmental movement to preserve and protect our critical natural resources. Today, very few of my students profess to be very optimistic about the future of cities. 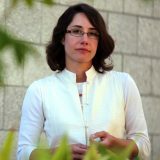 Most choose to contribute their scientific knowledge to medicine, engineering, finance, or computer science, where the rewards seem greater than in the fields that tackle urban challenges. Those that take on urban issues hope mainly to avoid the most catastrophic effects of climate change, resource depletion and urban sprawl, and basically keep things from getting any worse. The faith that we have the potential, the knowledge, and the political will to build places that are far, far better than what we see today seems to have faded away. To quote Stephenson, “the techno-optimism of the Golden Age of SF has given way to fiction written in a generally darker, more skeptical and ambiguous tone.” More directly, young people are now surrounded by the most dystopian visions of the future imaginable, with every possible permutation of the post-apocalyptic city from floods, disease epidemics, and nuclear wars to of course, zombies (so many zombies!) permeating popular American culture. This is most worrisome, since we’re unlikely to achieve a future that’s bolder, more daring, and more innovative than we allow ourselves to imagine. I became an urban ecologist because, like so many contributors to TNOC, I came to believe that a promising future for cities will be found in re-imagining the relationship between the built environment and nature. While some see the goal of bringing more nature to cities as a rejection of technological innovation, I believe in the possibility for a re-alignment of science—both natural and social science—with the design and planning fields, recognizing the central role of design in finding novel and exciting ways to bring nature to the urban experience. 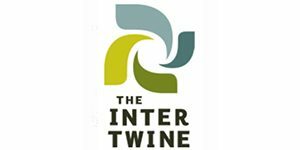 Philip Silva summarized this well in his TNOC essay, “Sustainable cities don’t need nature–they need good design”, where he explained that rejecting our humanity and “retreating from society to find holiness in the purity of streams and meadows, forests and mountains” cannot solve the puzzle of how to build cities that allow communities and culture to thrive. Human ingenuity, culture, and imagination will be key ingredients in the green cities of the future, which will need an ever more advanced understanding of the relationships between human well-being, ecological processes, and attributes of the urban environment. And although we always want to apply our best scientific understanding to urban design, in my view these visions don’t always have to be practical and fully feasible to serve the common good. Aspirational solutions that are largely unattainable but serve to awe and inspire can also help us progress—just as the golden age of science fiction motivated us to keep striving for something better, even when the political realities of the present often made progress seem impossible. So is green the new flying car? We know from the hard lessons of the last several decades, now that flying car technology as actually arrived, that it will not solve all, or perhaps any, of our transportation problems. But wasn’t it worth imagining for all of these years? How many people thought bigger, better, and more boldly about transportation solutions because of it? Now it’s time to do the same for green initiatives, not just here at TNOC but widely throughout popular culture. In my opinion, we need to surround our students with far fewer zombies and far more designs by Vincent Callebaut. Fortunately, we have already taken the first steps, in that the inner city has once again become a desirable place to live. In New York City and many other U.S. cities, including Salt Lake City where I currently live, the urban core is thriving again. There are still enormous challenges ahead, including gentrification, growing wealth inequities, and persistent air and water pollution problems. But there are also promising indications that big ideas may be back. 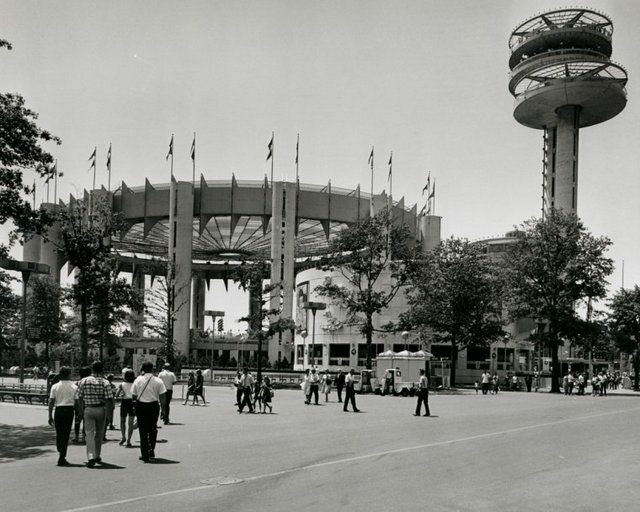 In Flushing Meadows Corona Park, just adjacent to NYSCI, the nearby “Tent of Tomorrow” from the 1964 World’s Fair New York State Pavilion was the focus of a design competition sponsored by the National Trust and People for the Pavilion. The submissions were amazing, awe-inspiring, and truly reminiscent of the spirit of the World’s Fair, which Isaac Asimov described “as the direction in which man is traveling…viewed with buoyant hope.” And tellingly, green components were everywhere in the winning designs for a re-imaged pavilion. It’s interesting now to revisit Asimov’s 1964 article, Visit to the World’s Fair of 2014, in which he predicted “that men will continue to withdraw from nature in order to create an environment that will suit them better.” Arguably, that prediction became a reality in the early part of the 21st century (as did several other aspects of Asimov’s essay). 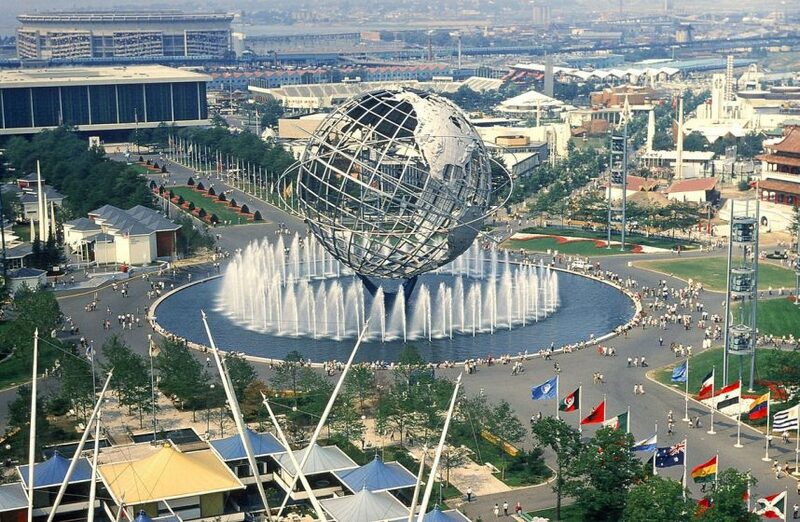 So what now of our prediction for the World’s Fair of 2064? We’ve gathered enormous knowledge about ecology, social systems, the built environment, human-environment interactions, and both the pros and cons of technology in the last 50 years. Will we be bold enough to imagine aspirational cities in which nature and culture are beautifully integrated in entirely new ways, and on a scale large enough to reach all of the urban population? How will we recruit the next generation to join that effort, despite the prevalent belief that it will be too costly, too politically challenging, and too risky to fully achieve? I choose to believe that design, transdisciplinarity, ingenuity, and collective engagement will bring about an exciting new future for cities and urban residents. Leaders in education and outreach such as NYSCI’s Design Lab are preparing the next generation for that vision, but they can’t do it alone. Many, many more of us are needed to join this effort. You don’t need to predict the future. Just choose a future—a good future, a useful future—and make the kind of prediction that will alter human emotions and reactions in such a way that the future you predicted will be brought about. Better to make a good future than predict a bad one.